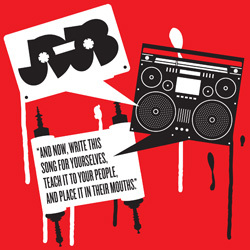 Jewish Hip Hop In Da House | Yo, Yenta! Thank you, Jewlicious, for giving me something to smirk about on this ever-so-gloomy Monday: Lil Dicky‘s epic rap battle with Hitler. What do y’all think: Is his mother proud or sitting shivah for this shanda? On one hand, I am fist-pumped-up for a Jewish rapper to take down the ultimate muthaf*cka with his hilarity, no matter how obscene. Then again, it gives me the creeps to hear it from a kid who looks way too much like my son’s camp counselor. In an era where rap is dominated by racial, social, and economic minorities, LD decided to put the upper-middle class on his frail, Jewish shoulders. See? Underneath the rapper’s bluster, his liberally-educated, revolutionary-minded, suburban tush shines through — a right nice Jewish boy in a world with ever-worsening morals and tastes. 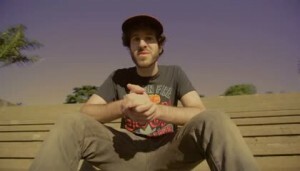 If Lil’ Dicky is the future of Jewish hip-hop, I’m ok with that. He’s got a free mixtape, downloadable here. I wish I could say I’m decorating the house and hanging blue lights and choreographing the dance program I’m supposed to teach the Shalom Schoolers. I’m going to hit “Play” again and wish our religion believed in holiday elves who do all the dirty work. Rosh Hashanah is still weeks away, but it’s just never too early to start shakin’ some booty for the season! The Fountainheads want you to know that “no apples, pomegranates, babies, or smartphones were harmed in the filming of this video.” Also, feeding honey to babies under a year old is a no-no. Lyrics here. Summer has begun, which means there are little yentas all UP in the big one’s bidness, keeping me from sitting at the computer with incessant whining earnest pleas to go blackberry picking and dress up the dog in American Girl clothes. Was that the B.B. Jacob sanctuary, brother?! Also caught a cameo of the newest (? maybe middle) Formey daughter—a sweet little angel in pink. 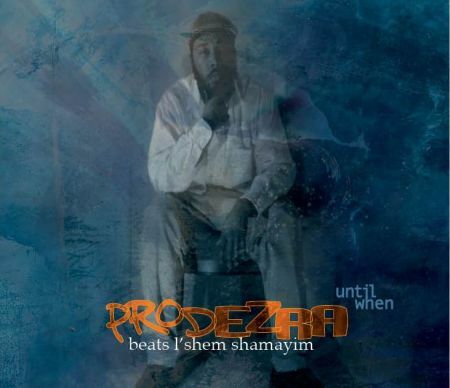 Rumor ’round the eruv is that Prodezra Beats may be moving along to a bigger music scene—I’m sorry to see Savannah lose its hip-hoppest Jew, but if that’s what it takes to realize the dream, so be it. Proud to BE a fan, yo! The Jewish Community’s Next Controversy? Love the reminder that Jews come in all colors and observance levels. But when did it become acceptable for the young yids to rock a kaffiyeh? I remain fascinated with the bridge between hip hop music and Orthodox Judaism. As disparate as they should be, Torah and tefillin on one hand and malt liquor and boobie shaking on the other, the two still manage to meet and hold strong–and it’s not all about Matisyahu, m’kay? Six years later, Yo-Natan’s Hip Hop Shabbat CD is still on permanent rotation in the Yenta house. EtanG and Y-Love also spin Hebrew-inflected rhymes on my iPod, with the recent additions of tsitsit-swinging Nosson Zand of course, my local homeboy Reuben Formey and his soul-strumming Prodezra Beats to the playlist.